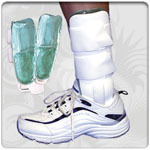 All the features of our popular “Cirrus” stirrup support with the addition of restorative gel padding. 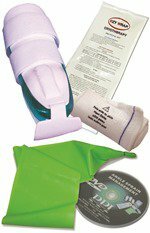 The air-gel padding provides support and controls bruising and swelling while allowing unhindere Read more..
Our ankle sprain management kit is ideal for home use. 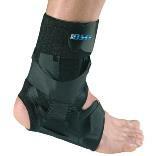 The kit provides effective treatment for patients with ankle instability or chronic swelling. Video details treatment of the injury. The kit con Read more.. The comfort and therapeutic value of air cradles the injured ankle within impact resistant contoured shells in our “Cirrus” stirrup brace. Pre-inflated air bladders help control swelling. 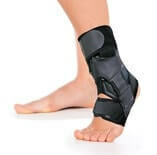 The stirrup Read more..
Buy Direct from US Manufacturer Get protection for your ankle and help prevent ankle sprain now without the restriction found in other braces. 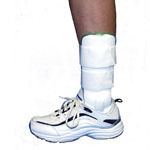 Prevent ankle sprains effectively. Competitive brace de Read more.. This is our most popular model. The semi-rigid, impact resistant shells, with cotton covered memory foam padding comfortably and securely protect your injured ankle. The stirrup design allows normal Read more..